Speed racer Zef Eisenberg maintained an average speed of 182.4mph to set a new benchmark for the ‘flying mile’ record. But Zef has now taken the record from the Luther star who achieved 180.361mph in a 650hp Bentley Continental Super Sport twin-turbo W12 – also on Pendine Sands – in 2015. 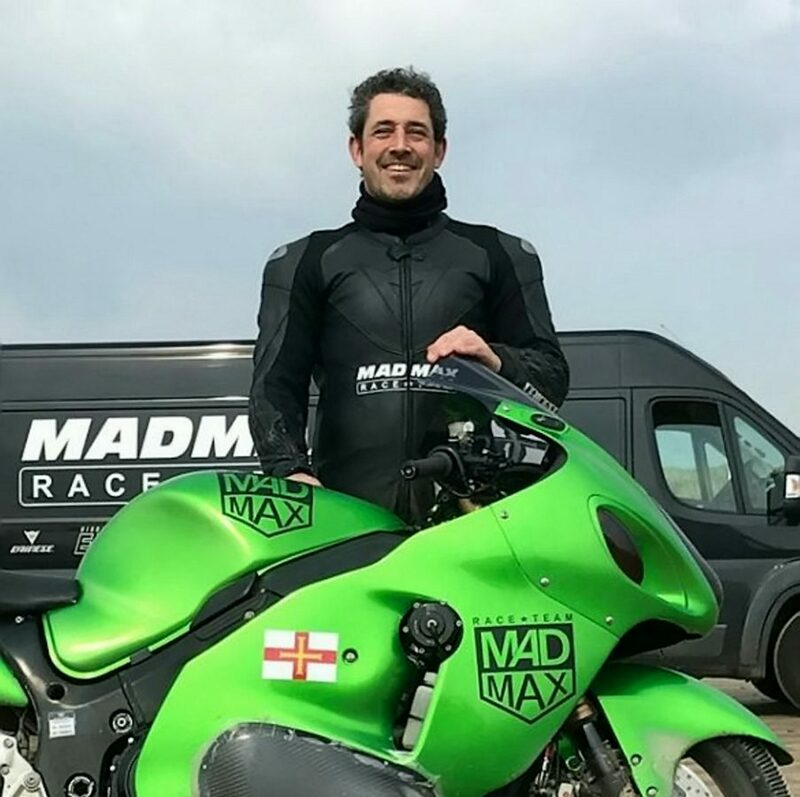 Zef used the same stretch of beach in Wales on board his specially-made 400hp supercharged Suzuki Hayabusa, built by the Madmax Race Team, and needed only a single run in both directions. This was despite a rear tyre that was found to be falling apart after the first run and he even survived a scare at 195mph when his helmet was sprayed with black engine oil. He said: “The bike had been spinning the rear wheel for two miles at 240mph. “We were using a GP racing tyre, too – the best you can get, but I assume it’s not used to that much power or wheel spin. The MADMAX team fitted a new tyre during the permitted one-hour turn-around time, enabling Eisenberg to complete his return run and establish the new record. 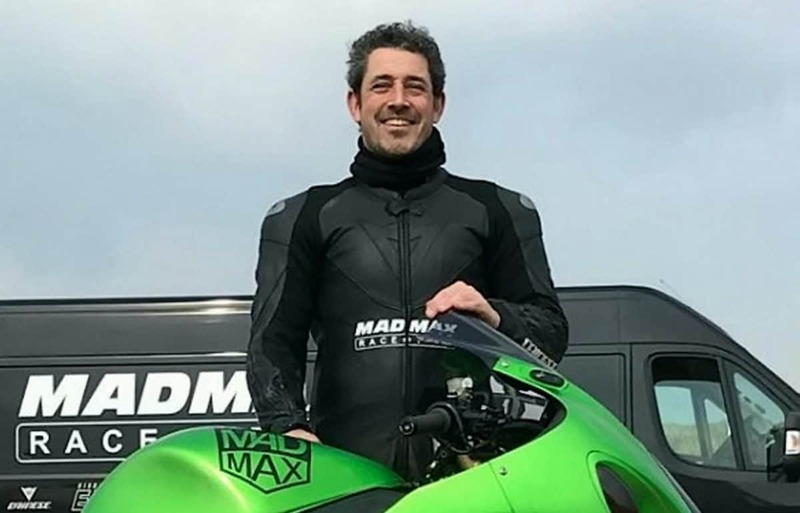 For the third run, a harder compound of tyre was used, but the extreme demands of running at maximum rpm for nearly three miles – and constant wheelspin at such high revs – took its toll on the motorcycle’s highly stressed engine. Zef, a businessman based in Jersey, added: “I was doing 195mph approaching the end of the mile and my helmet visor and leathers were sprayed with black engine oil, obscuring my vision. With critical engine damage, he was not able to continue racing and attempt to increase his speeds as he had been hoping to reach a speed of 200mph over the weekend. Mr Eisenberg still holds the fastest wheel-powered vehicle (bike or car) at Pendine, at 201.5mph, which is also the fastest motorbike on sand world record. As time ran out on Saturday, The Madmax 1200hp Porsche Sand Racer will come back to Pendine on Speed Week 18 and 19 May for an attempt on the all-out flying mile record and speed.